Stirling and Bridge of Allan’s longest running musical theatre society is heading back out west in March 2019 with a new production of Calamity Jane. SABOS last performed the hit musical in 1983, some 35 years ago, and two of the original cast, Jan Higgins and Gay Burt, are set to join them on stage next spring. After digging through the company’s archives, which go back over 100 years, Gay and Jan were delighted to discover the original programme and cast photos. 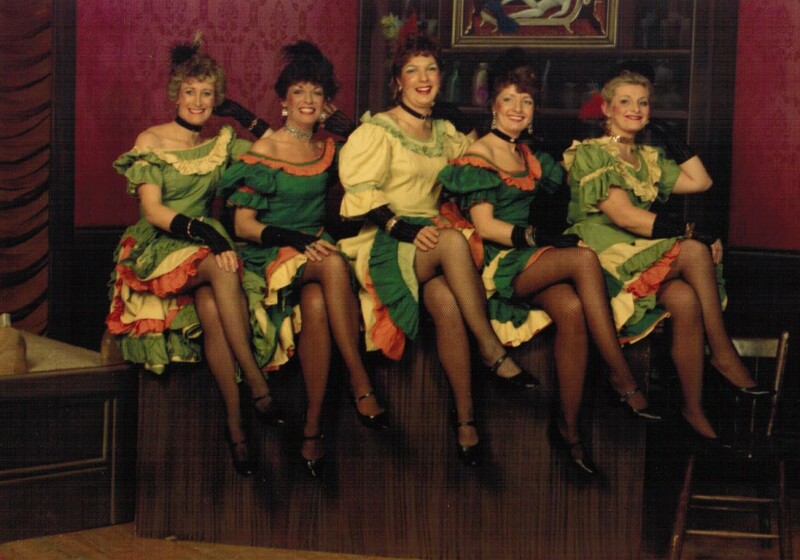 Including pictures of themselves dressed in their saloon girl costumes. Tickets for the show, which runs 26 – 30 March 2019 at the Macrobert, are now on sale priced £17.50/£13.50. Family and group discounts are available.